10 ways to make 2019 the best year ever! Your Pet Teezer FAQ's answered! Chris Packham tells us about his love for all things Poodle! The start of a new year can be a motivation for change. Carol Price has some inspired ideas for dog lovers. When you live with any dog long enough, it can be all too easy to slide into lazy habits or routines. With a bit more imagination and effort, you could be getting much more out of your lives with them, so, as 2019 arrives, here are 10 new year’s resolutions, aimed at living a better, healthier, and infinitely more rewarding, year ahead with your canine best friend. Many dogs, especially as they get older, can have small, niggling health issues, or sources of pain, that you might not be aware of until they become more acute. And this is because dogs do not always exhibit pain symptoms in the same way people do, or may, instinctively, try to hide or mask their vulnerabilities. So why not begin 2019 with a total MOT-like appraisal of your dog’s overall health? Could he be suffering from some kind of back or joint pain that is making him grumpier or less keen to take more exercise? Should he lose more weight? Is he losing too much weight? Is he drinking or urinating far more than usual? Do his teeth or ears need cleaning, or could either be a source of ongoing pain to him? Feel your dog all over, from head to tail. Do you notice any lumps or bumps that were not there before? 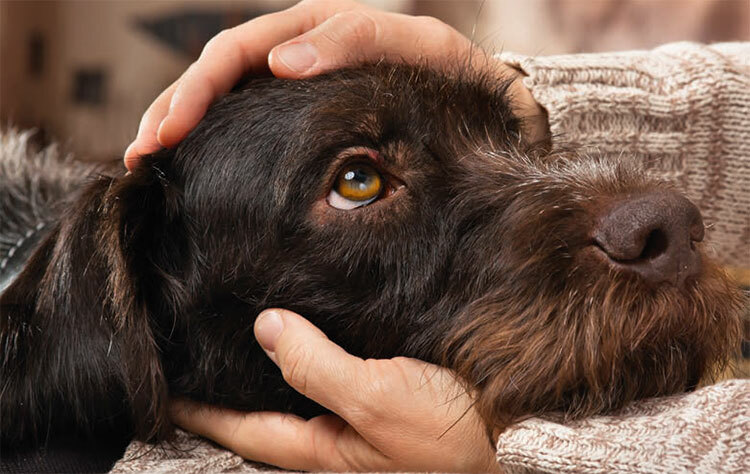 Whatever issue could be troubling your dog, or potentially impacting on his health and happiness, get it investigated and treated by your vet if necessary. No one likes this one, especially if they are not used to taking more exercise with their dog. People often say about their dogs: ‘Oh he doesn’t really want to walk too far/go out in the rain,’ when, in fact, they are talking about themselves. Dogs are like people, in that the more exercise they start to take, the more they are able to do. Most dogs, depending on age and breed, benefit from at least two good walks a day. It is good for them, physically, mentally, and psychologically, and it is good for you, too. Moreover, dogs who are routinely and regularly exercised throughout their lives tend to remain healthier and more active well into older age. You know that one exercise you always wanted to teach your dog, or the behavioural issue you were always going to get sorted out ‘when you had more time’? Well, now’s that time; it’s as good as any. Start researching the right trainer or behaviourist to help you. Often a one-to-one approach with an expert brings far better results if you have had less success with group training classes in the past. Avoid anyone who advocates less kind methods, or asks you to send your dog away to them. An owner should always be fully involved in any retraining process with their dog. Also, be prepared to talk to a number of different trainers or behaviourists in advance before you find one whose personality and approach most suits you and your dog. Once you have, be assured there is no better feeling in the world than teaching your dog something new you never thought you could, or resolving a problem behaviour that you never thought could be changed. How many times have you had in mind a very special, new place where you would like to take your dog for a walk, instead of just sticking to the same old routes you do most days? Dogs relish novelty — including new smells and landscapes to explore — as much as people do; it is stimulating and fi res up all those pleasure chemicals in the brain. Once you have done that new walk, you will want to do it again. Then look for even more new walks to do. Many owners make some good friends when walking their dogs. But why not resolve, in 2019, to organise a more official dog social group, comprising the people and dogs you most like walking or being with? You can meet weekly at regular times, not just for dog walks, but also to enjoy other fun outings together as the year goes on. On dark winter mornings, knowing you will be meeting up with fellow dog-walking friends can really motivate you to get out of bed, and maybe inspire you to walk that extra distance with your dog that you would not do alone. Social groups like these often take it in turns to look after each other’s dogs whenever the need arises, so they can be pretty valuable in many ways. Sooner or later you have to realise that you have amassed an awful lot of dog toys over the years — soft ones, chewy ones, throwy ones, tuggy ones, squeaky ones, and a whole load of miscellaneous junk your dog lost interest in many moons ago. So much of this stuff is either in an advanced state of disintegration and grubbiness or, at worse, a danger to health. Go through that toy stash, isolate the toys your dog still prizes and plays with, and put them in one pile. Then isolate toys that are still in good nick but which your dog never plays with, and resolve to donate them to a dog charity. Give all the toys you have kept a thorough washing to sterilise them; bin everything else. It will feel very good. If there is one human habit that causes extreme — and totally avoidable — stress to dogs it is a constant stream of shouting and nagging directed at them by an owner, such as ‘No!’ ‘Stop that!’ ‘Come here!’ ‘Behave!’ Often owners are unaware that they have this kind of shouty/naggy habit with their dog, until someone else points it out to them. Here are some important things to understand: first, dogs have incredibly sensitive hearing. If they cannot understand what you want them to do when you are speaking quietly, they are not going to understand it any better when you SHOUT; they just get stressed instead. Second, most of the shouting and nagging that gets directed at dogs by owners results from the owners’ ineffective communication. Owners get frustrated by their dogs’ inability to understand what they want them to do, or not do, and then take that frustration out on their dogs. If you speak to your dog more gently and quietly, it is far more likely he will listen to you. And if you give your dog the tools to understand you better, through better training (see resolution 3), you will not have to shout at him in the first place. So many less fortunate dogs — and dog welfare charities — in this country need help. But, while the bigger ones with bigger marketing budgets understandably get the most attention and funds, the smaller ones can become even more desperate for financial help. So why not focus on one of these this year? Pick a breed or a cause dear to your heart. No owner can ever be worse off for understanding more about dogs and their origins, psychology, and behaviour. Do that course on dog behaviour you always meant to do, or get that particular book on dogs you always meant to get — and read it. The more you learn about dogs this way, the more you will want to keep learning. Last year I lost a dog who was exceptionally precious to me. What such devastating experiences teach us, every time, is how relatively short any dog’s life can be, and how fast the time we have with them can go by. So, relish every moment of your time together with your dog, and feel blessed, every day, that out of all the dogs who exist in the world, this particular one came into your life — and made it shine. Inside the May issue you will find advice on how to make the most of walking your dog in spring, a dog lover's guide to the New Forest, and how to travel safely with your pet. Plus, find out how dogs are helping to tackle loneliness, read all about the fun new activity for you and your dog - mantrailing, and your chance to win £1,250-worth of giveaways!